"That doesn't mean it won't keep on coming back"
Citizens of America, the former and 44th president of the United States wants you to vote in the upcoming midterm elections. Sitting down with media company ATTN recently, Barack Obama made it clear he didn't care about seven common excuses used by your friends for not voting. Right off the bat, the biggest reason "I don't care about politics" was addressed. If that's you, Obama has a special message. He doesn't care about Pokémon but he knows it's going to keep on coming back, just like we all do. That's why you apparently need to vote. Admittedly, it's a bit of a questionable analogy. His point is, if you don't vote, certain people will keep on returning and that's exactly what these powerful figures want - for you to not be concerned about voting. Then when you opt out, it allows other people to fill that "void" and enables them to do nothing about the things you would like to see the government do. So if you want to stop any powerful leader's plans from actually going ahead - throw them out by voting. Despite the odd comparison, Obama is probably right - Pokémon is going to keep coming back for a very long time. 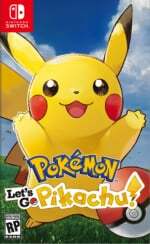 The upcoming release of Pokémon Let's Go, Pikachu! and Let's Go, Eevee! is proof of this. Oh, and assuming you're the legal voting age and live in America, you should probably vote in the upcoming election as well if you want to have your say. ... Okay then. I don't know what to say to this. I'd rather keep politics out of my games but he did bring it up so... yeah. Seriously let's keep politics out of here. I come here to chat about games and stuff. This is about our former President, not the current. I don't think politics are a great fit, you're going to see a very toxic comments section because of this NLife. @Joeynator3000 The "politics" you're talking about are simply people encouraging young people to vote. Cool it. So what? Not everyone has to like Pokémon. Wooohh. Obama, please. A bit more gentle next time pls. I've never really liked Pokémon, either. I guess that means I'm a Democrat. This is an interesting and difficult topic for sure, but this is hardly something that should be here. In that case, I'm voting Pikachu for president. Really @Liam Doolan , @NintendoLife ? Keep talking about politics and see people fleeing to other websites. Anyone or am I too old? How is this an article published on Nintendo life? Of course not, Obama is obviously a Legend of Zelda kind of guy. @JasmineDragon Nah, Obama seems more like a Smash Bros guy. He probably mains Pikachu, ironically. @Tendoboy I remember IGN 64, but I can't remember if that was the entire website or just a branch that covered N64 stuff. Hello, lovely people....I am done now. At least this is another way to update my Ignore list. Also, I’m sure Obama plays digimon instead. Cuz he’s edgy and cool like that. Or, as Hillary Clinton has said: "Pokemon Go... TO THE POLLS!" Better then Hillary's Pokemon Go to the polls line. A low bar for sure but still better. Can we just not post anything related to politics in here? Please? I'm gonna stay out of the political chatter, but I'll just say that Obama was just mentioning things that are cool with young people to shock them into listening to the video. I do remember a couple of years ago, my own generation disgraced itself with Pokemon Go. It got so bad that when I was on the train, one of the conductors was shocked that I did not play the game. I remember seeing videos of people my own age scrambling at parks and in front of private areas because of it. Lanky, disheveled people who look like they needed sunlight. Well, at least it got them out of the house. I even asked my friend who is my age to go out to vote, and he said "no," and I told him not to complain then, yet he complains about the state of things all the time. The old f***s who are in office are laughing at our generation. It has less to do with politics, and more to do with how much they think they can get away with before they do us the kind favor of finally screwing off and dying. It takes a special person to see an article, that just happens to report a tenuous connection between something relevant and video games, and think it's ramming politics down your throat. You clicked on, read and commented on something political. That's not remotely how forcing things on someone works. @Caryslan There are other important things to vote for aside from representatives, like propositions, if your state has them, county ballot measures, etc. "You should vote because Pokémon." Not voting is just silly. Please vote. I don’t care who you vote for, just participate. Boycotting the political system is a fruitless endevour. Im anti political, ever since I declared myself unfit for political talk, because its not me. Even if I was somehow involved, Id rather watch from the sidelines and learn the ebbs and flows of both sides, NEVER to participate one of two sides so blindly. Im a gamer, thru and thru, and gamers are real human, because we sought to escape the real world, since the early days of gaming. Since then, I see that gaming has become the last sanctuaries of humanity, because of what we can do in the world that we created, and I see the potential in our atmosphere to do what politics cannot do. WE and we ALONE get to decide for ourselves when to stop and what to play. My real vote is to vote for myself and the polling stations wont have my vote. I know that there are those who you disagree with, TO PUT THINGS LIGHTLY AS POSSIBLE, out there in the gaming world. Without even pointing fingers, I know that they are there, and even can be here. You may never know who one person is truly like. As a true gamer I wish to be, I understand this and that EVERYONE want have a laugh and escape the real world. So I say this... Be you my friend or my enemy, WHATEVER you believe in your life, no matter how out there your beliefs would be to some, I WISH TO PLAY WITH YOU AND HAVE GOOD TIMES OUT THERE IN THE GAMING WORLD! LETS ENJOY OURSELVES! I can't be the only person who named my Yungoos "Mr. President," right? @HobbitGamer I think Hillary would be particularly fond of Silver and Gold. i hope you get a ton of ad revenue from the hate this simple and easy article about just taking the time to vote has caused. We don't need to fight a political battle over every single simple thing. @Darlinfan Hey, man. Bask in the feeling. @Caryslan Not voting is fine but understand that you give up the ability to complain about anything going on because you did nothing to help change it. I like TWEWY, its themes can still be relatable; people that you commune with can be wildly different once you begin to know their inner universes, it's never fair to generalize an individual as a community, that's why things like politics and religion are so polarizing, they deal with personal moral codes and ethics, and things that an individual holds close to heart. If I could vote it would be to balance the force. Until we can find a better way to govern ourselves and the "invisible" hands that move economic markets, money will be the most direct link to power, and power will have to continue to swing from left to right and right to left until we can find a way to make compromises without compromises. The danger lies in the pendulum staying on one side. American culture is going through a transformation, and sometimes it's an ugly process. Much like individual development, anyone that has had lessons in humility and growth knows that we have to admit the things that we keep in the shadows to be able to make something with it, and improve. I would think a collective identity would go through the same changes over time. TLDR; Vote to keep the balance, the pendulum must never remain on either side. I would certainly be more eager to vote if it didn't make me feel like I was betraying my moral values no matter which party I vote for. Seriously, gaming is what saves friendships for me. I met a fellow amiibo and gaming lover at a video game store who was an expat like me, and by the time politics entered the conversation for a couple minutes and he realized we were on opposite ends of the political spectrum, we didn't care anymore because we were giddy with excitement about our collections and interests. 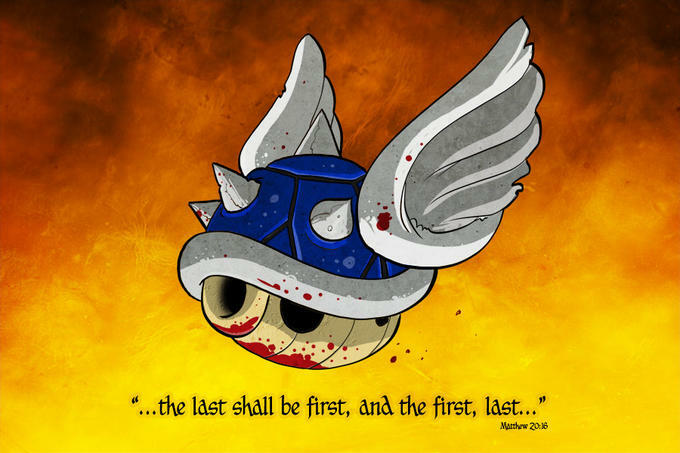 We even said with all the shouting in modern American politics nowadays, why can't everyone just say "F*** it all, let's just go play Mario Kart"? and have been buddies ever since who agreed to not talk about politics when around each other as much as possible, but funny enough, it's BECAUSE we know each other as PEOPLE instead of representatives of an ideology or different opinion, this familiarity with one another opens us up more to consider opposing views. So I can't actually ever say my Switch or Nintendo or my amiibo collection have been a waste of time--they have built bridges with people who normally clash with me when sensitive topics come up, and those topics are often the first thing many people want to bring up as though we have all forgotten about what it's like to have fun. ...this now reminds me of the old nickname for the N64: "The Fun Machine", which was another thing that led to a very obvious dirty joke from the name itself that everyone in school could laugh about no matter what views or background they had, since dirty jokes seem to be universally appealing. If politics need to stay out of video games, then please stop promoting the Splatoon 2 Splatfest choices on this site. I could barely deal with those "Retro" deplorables. @JasmineDragon Nah, Obama actually plays a lot of Street Fighter. He mains G! This isn't a "political article." 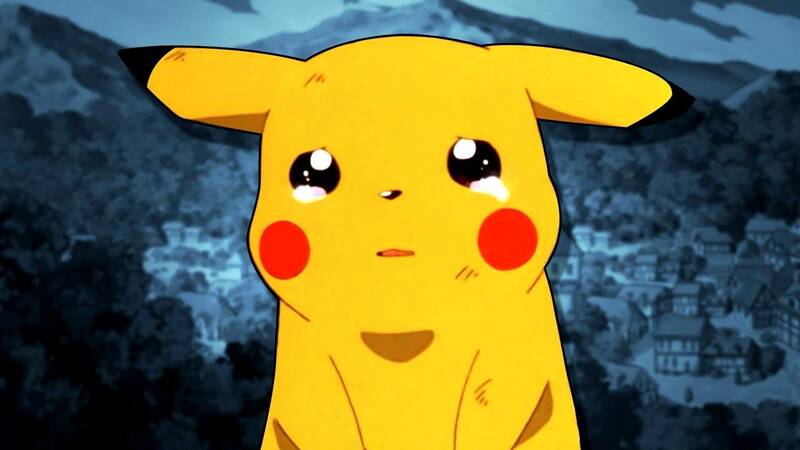 A well-known politician (to put it lightly) made an awkward analogy using Pokemon. Pokemon is a Nintendo franchise, you may recall. Hence the interest. @Branovices It's political. If only because they knew this would get people scuffing over politics. That's just how it works. They should have just blocked comments. And that’s why Obama needs to play Pokemon. I'm kicking myself for missing the voter registration deadline. I'm going to see what else I can do, if anything, in these midterms. Put on your tin foil hats kids, were getting political! Obama don't want you to vote for Toad, but I bet Obama's daughters played that Captain Toad game. Too bad. I don't care for politics. @HobbitGamer Maybe their B buttons are all just stuck? Well since this article is here... I have early voting in the state I live. So yeah, I’m voting. @ReaderRagfish, @HobbitGamer: Stuck B button? Darn it! I KNEW it was too early to start passing out candy! I like Pokemon cause they got instant free health care, you never have to wait in line in a pokemon centre. Also sleeping at inns is free. Obama don't care about these things though and i hope Trump doesn't either. @Tendoboy Why do you consider encouraging young people to vote to be political? The only way his analogy would be a good one is if he bought a Pokémon game every time it came out and play them and somehow let Nintendo know your opinions on the game. Politics are poison, we don't need them here. Man, this whole thing really went to pot fast, didn’t it? It was literally just Obama reminding people to vote, not an invitation for an open, public caucus. This comment section makes me sad. For those complaining about how this is politics... it’s really not. NL is just nudging people to exercise their right to vote, and absolutely NO mention of whom you should vote for or which party to vote for. Chill out, guys. Stop getting up in arms over the mere mention that you’re a citizen and voting helps your country. Has the internet gotten so toxic that simply urging people to vote gets everyone angry? Are all the comments before and after mine gonna ask why is the news here? Deal with it and grow up. Oh, and keep in mind that politics have a huge influence on your hobby, so maybe open your mind instead of sticking the head under the sand. Look—I know NL would much rather be covering the latest on MP4 (or anything, really), but that doesn't mean NL should bait its audience into destroying each other for clicks. I mean, with the division present today among partisans, all you need to do is show a photo of insert politician here to provoke a mouth-frothing, incoherent response . . . especially if you know how anything even remotely political gets handled here. To assert NL doesn't have the sense to recognize these things is completely detached from reality. Can we just...not though NL? I don't understand why this was shoe-horned into the site. I mean, yeah sure great go vote, but not everyone here is American either. Just...avoid it next time K? @RunGMhx People made fun of him for not talking well. "um...uh...um...."
Pro-Obama, anti-Obama, pro-Trump, anti-Trump, chances are your opinion is not your own and youre being mentally manupliated by the media. Let's not talk about Politics. At all. I do not live in USA, but c'mon. This post is alright, and applies pretty much to everyone living in a democratic country. If NL was trying to push his view onto us, that would be very wrong. But just reminding people that they should vote is OK imho. Not that I can vote in America, but that sort of thing would just make me want to not vote... But yeah, no politics please. Leave it completely out of gaming as a whole. What happened to hope Barack??? HUH!?! What I don't understand about american politics, aren't there more than two parties? There are so many people who wouldn't vote because both options are bad, If all of you were to just vote for smaller parties, then they wouldn't be so insignificant either. Perhaps I am missing something as I am not american myself, but choosing a minor option is usually better than not choosing anything at all. Really, no Brock Obama yet? Americans need to learn that there can be more than two parties. If enough people voted neither Republican nor Democrat, politicians would take note. Bipartisan system is a bad place to be. You people saying they don't care about politics and refusing to vote is just sad. The US and the UK both use a 'First Past The Post' voting system which naturally leads to just 2 main parties forming. If you want a wider range of possible parties to vote for, you basically need to switch to a proportional representation system. Wow, a lot of you Americans for sure pretty easy to bother with talking about politics. Why so? Young people being frustrated and not voting is probably a 2st-world-problem though. In Germany this problem too exists. That's why the right-wing party gains power. If you see them demonstrate on the streets 70% of them are 60+. Seeing that makes you recognise how powerful your vote can be. If their votes can change the face of our countries politics, so can everyone else. So a comment asking people to vote with a video game reference is posted on a video game site and the comment section quickly shows why politicians get away with doing nothing but helping each other out. This article has no place at NintendoLife. If it's a slow news day, please just post fewer articles. Well the comment section is about as fun as ever today. 1. Vote for whoever you want. 3. If you've got nothing nice to say don't say it. 4. I'm sorry to say but politics have been in movies, video games, comics and every form of entertainment since politics were a thing. Wow, the comment section is going wild again. Kind of pathetic that people don't want to see politics in here, while everything is determined by politics. Plus, this isn't even about politics. Please, post these more often. It's hard find articles as conducive towards expanding one's ignore list as one that's "political"; people tend to show their true colours no matter how tenuous the connection. No matter your political beliefs... if you can't express them in a civil and level-headed manner, they're not worth listening to. Are there REALLY the kinds of candidates available that he mentions? Or are there just candidates who don't personally prioritize those specific issues in their political work? Obama's a cool dude, and I think everyone ought to vote. Hamfisted virtue signaling and loose hanging accusations are unnecessary, however, when you're telling young people to vote for who THEY want to vote for. @Tendoboy Liberal in the UK does not equate to Liberal in the US. In fact, the Conservatives are very much in favour of Neo-liberalism, which is in itself not very Liberal. However, it is true that America is way further to the Right than the UK. @Kalmaro And let the comments section eat cake!!! What is true, just, and beautiful is not determined by popular vote. The masses everywhere are ignorant, short-sighted, motivated by envy, and easy to fool. Democratic politicians must appeal to these masses in order to be elected. Whoever is the best demagogue will win. Almost by necessity, then, democracy will lead to the perversion of truth, justice and beauty. I went to bed and this still isn't locked when I wake up? @Caryslan I feel you here Caryslan I'm pretty much in the same boat, I usually only vote if there is some important issue locally or on the presidential election at which point I vote for a 3rd party candidate in hopes they get a higher % and get more money for the next time a 3rd party candidate gets to campaign generally never works out though. I also agree especially with the last presidential election it was really a let's try to vote on the lesser of 2 evils. Now as far as Obama doing this weird Pokemon reference, that's pretty dang strange. I honestly thought this was going to be about the geodude meme. This really isn't even political though, it's just about encouraging people to vote. The analogy works because a lack of voting just gives more power to the people who do vote. Not participating in democracy means it becomes wholly unrepresentative based on whoever's left that does participate, which then makes everyone else turn around and say it doesn't matter if you vote. This is just logic about how the system works, and if everyone participated it would work better. If you don't like the way things are, doing something is better than doing nothing. @ReaderRagfish: Too many sweets before bed. Fun fact: George W. Bush and Barack Obama (among others) are mentioned by name in the Kirby series. You're lucky you beat me to the Brock Obama jokes, I was at work, dammit! Hope it was worth the clicks, NL. @Caryslan While they don't have a shot at the Presidency, third party and independant candidates do have legitimate shots at winning lesser offices, occasionally even winning a seat in Congress. Besides, at the very least it's worth it to vote on the non-partisan issues that appear on the ballots. As for the 2016 election, yeah, I went third party rather than vote for Kang or Kodos. While those candidates don't have a chance of winning, the relatively increased support they received did send a message that America didn't care much for either of the established candidates that time. I'm kind of surprised this thread is still not locked. Yeah, not American, so I don't care about their politics, but I'm not following. 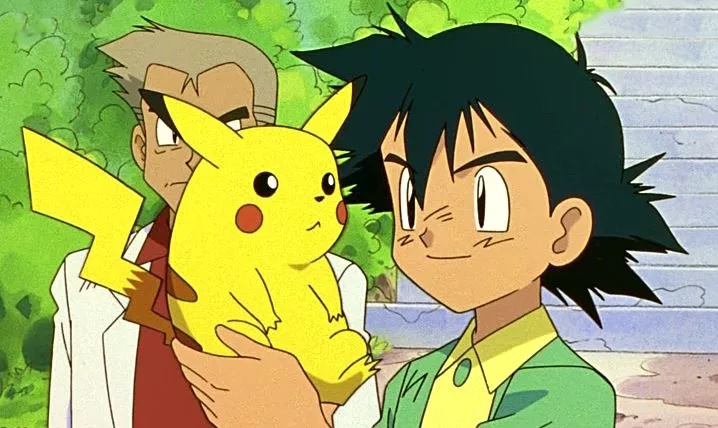 What does Pokémon have to do with American politics? Is this because of Clinton's "Pokémon GO! and vote thing" That she did? It's so sad that so many people showed their true face in this comments section. People in their 20 or 30 are mindlessly worshiping some 70+ years old political leaders who really don't care about them. Get a grip on yourselves, people, and vote for someone who care. I'm not an American, but the USA is probably the most influential country in the world, so I'm following presidential elections, etc. It is so sad that your elections are as broken as my country's. Two very similar parties that are so so loud that many people don't really consider the alternatives. Going back to the video cited in the article... am I the only one who got the impression that he talks a lot like Reggie? I mean, tone and rhythm sond very similar to me. Strange article. I personally just hate to see politics and games mix, and same with sports. We really just need our places where you can avoid it given how divisive it has become. Even a simple article about going to vote will be divisive (I know it’s because who the article is about and people on the right know that they would never see similar report that is not in some way negative about their guy/gal). It’s sad but also true. So true. Wishful thinking on my part, but I would like to see the “third party” candidates on every voting ballot. It would even be nice if they were in all the televised debates that include the democratic and republican parties. As an American who's more into politics than the average American gamer, we could most definitely use another political party. However, both choices aren't bad. One is clearly more for the people and the other is clearly for the rich and special interests. Americans, who believe both parties are bad choices are simply ill informed and need to add reading to their daily regimen. If you like your Pokemon, you can keep your Pokemon.